Congrats! Gorgeous addition Dave and what a pleasant surprise. Nothing like new critters. Thanks for all the kind word guys! I am excited. His quarantine tank is all setup and dialed in. 88F hot spot, 82F ambient, 78F cool side. Ready to rock and roll. Is it a Paraguanara Peninsula Venezuelan BCC or something else? I have a Russo-line Paraguanara and as a baby he was not at all chill. He did eventually grow out of it though. 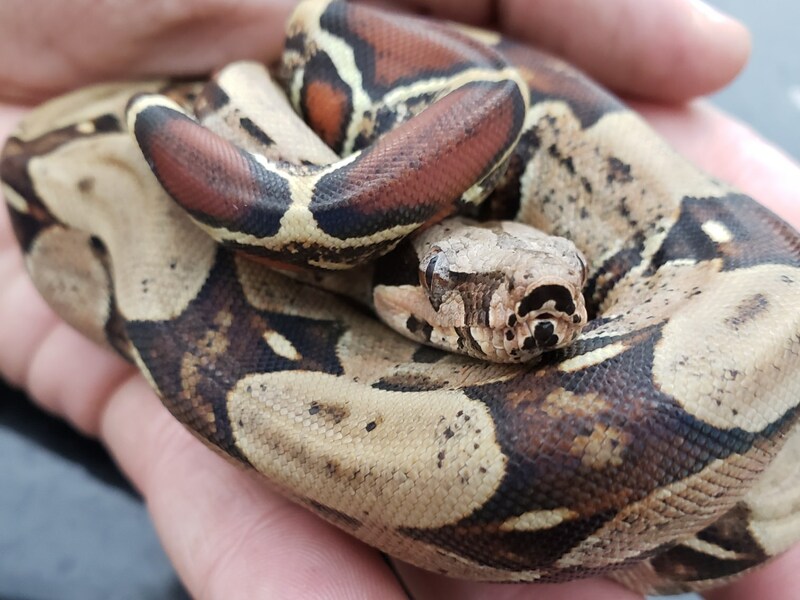 Feeding response is phenomenal even for a boa. Rio Bravo Venezuelan BCC. On his FB page. He told me that as well, but I could remember specifically. When I saw it on FB, it clicked. Plus, it's the only line of Venezuelan BCC's he breeds. First, I think I posted pictures of two different animals in my original post. I am not 100% sure. The pictures he sent me of Feliz are below. The picture of his dad is correct. He had posted on FB that he had only one left and posted pictures of what appears to be one of his brothers or sisters, with the dog bone tail, that I do not believe is Feliz. I originally thought it was. My apologies. Still quite the looker as far as I am concerned. Additionally, his quarantine tank is setup and dialed in. 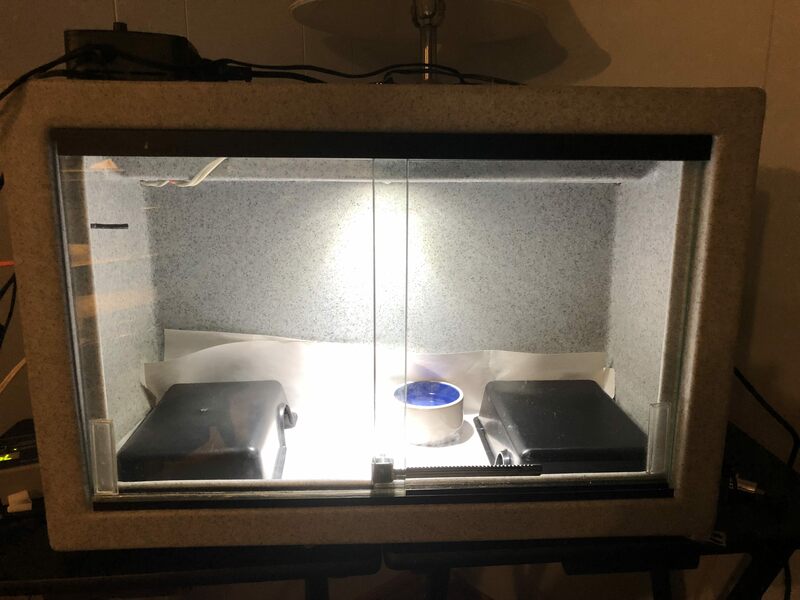 My buddy who owns the local reptile shop and is a breeder of several species as well, had a small vision tank laying around. I offered to buy it from him, but he said I could borrow it until Feliz's 4X2' Boaphile comes in a month or so. It was used, so I F10SC'd the crap out of it about 3X for 15 minutes each. Nice and clean now. 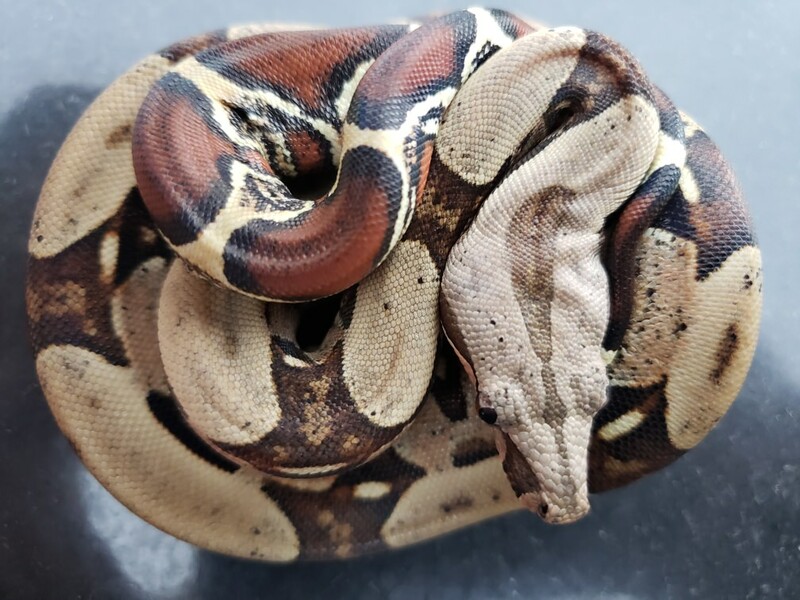 It has a small UTH set to 87-89F and small (20W) RHP above it keeping it about 85F on top of the warm hide and about 82-84 ambient on the hot side. I also have a small (zoo med nano 40w) CHE in the middle of the tank running off the same thermostat as the RHP keeping the middle of the tank 80F and the cool side 78F. I am also running a Nano LED light on a 12 hour day/night cycle. Ah. Yeah Venezuelan's arent a very common BCC to be found. They arent super rare though. From what i have seen, they seem to be on par with stuff like BCL and BCO. 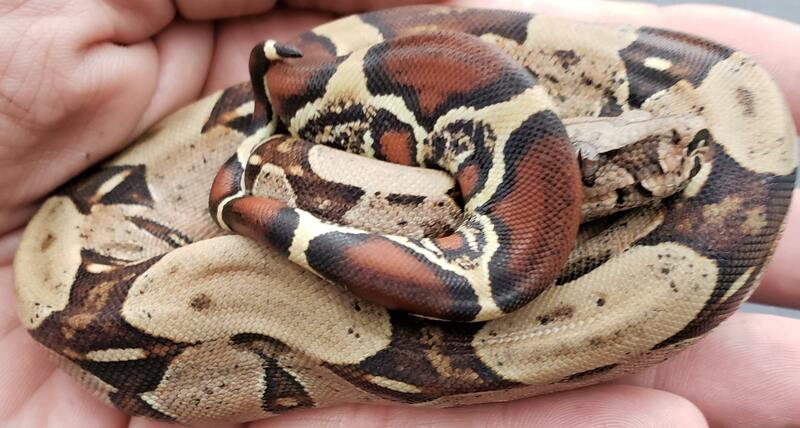 If you are looking for pretty obscure boas, check with Chris Wolf. 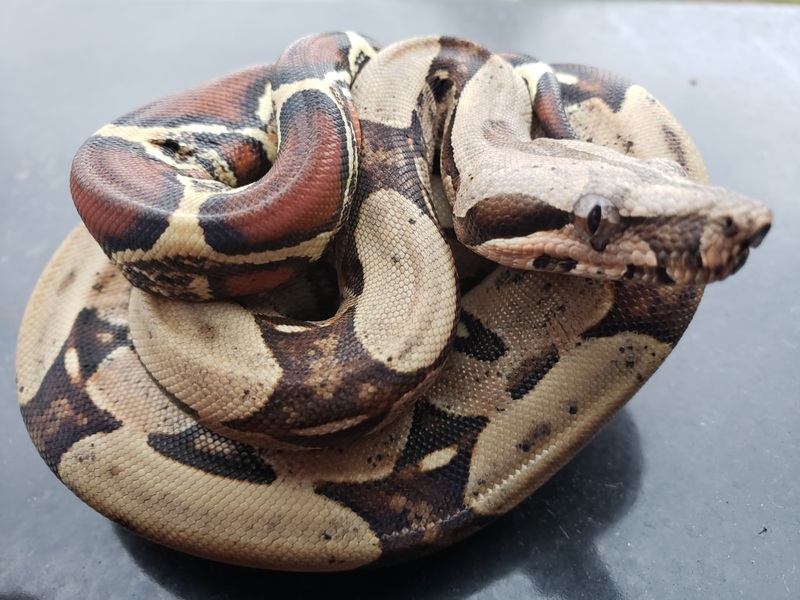 He breeds a lot of those less common boas and most of his stock is from either Gus Rentro or Vin Russo as him and Vin are friends. You need to pick yourself up a BCL. They are harder to find overall but they are really pretty. Louie is my BCL from Meltzer/Lincoln line which i have been told by a few people that the line is almost gone and not many are around. Mine was from a Vin Russo and Joel Diaz combo. Check with Jessica Fee if you are looking for Denton line stuff as she has some awesome looking ones. Don't encourage him! LOL. 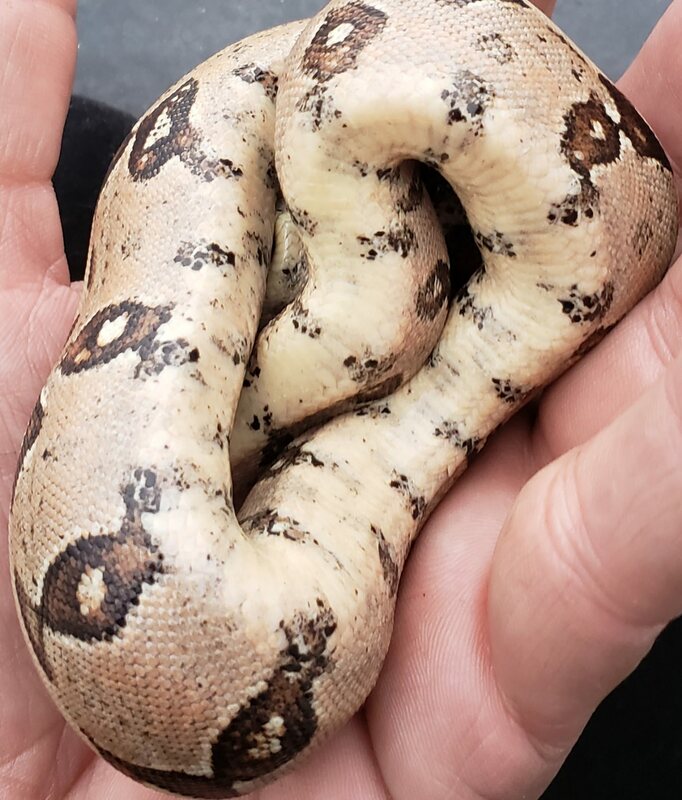 We will need a bigger house for any more snakes! Surely nothing else can go wrong. Hahahahaha. The funny thing is, I bet he really meant it at the time.